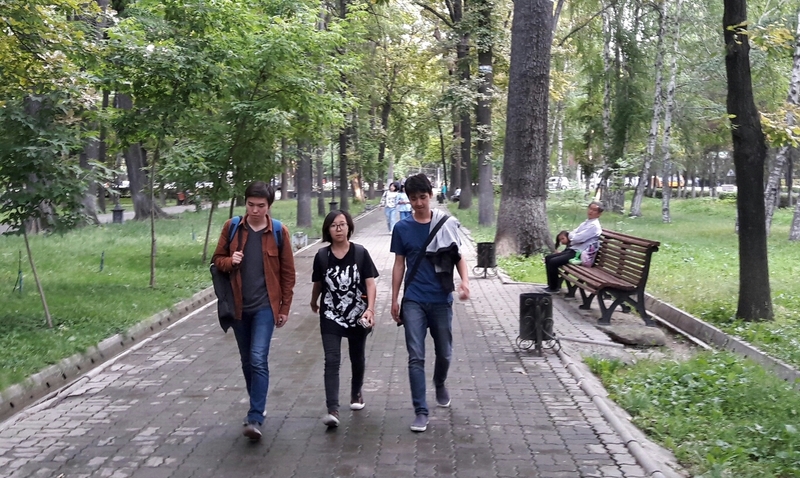 OSH, Kyrgyzstan -- Youth councils in the south are helping Kyrgyz local governments fight terrorism and extremism. Since the start of 2016, the councils have been conducting "preventive work against extremism and terrorism", Dilbar Mamajusupova, leader of the Osh-based NGO Iret, told Caravanserai. The network of territorial youth councils was formed in Osh in 2011. Initially, they focused on pacifying inter-ethnic relations. That emphasis has changed as hundreds of radicalised Kyrgyz go to Middle Eastern battlefields to join militants. "The main aim of the [anti-extremism project] is to involve youth leaders of local communities more actively in promoting tolerance and peacemaking," Mamajusupova said. Youth are the most vulnerable "to the virus of extremism and radicalism, especially in the south", Ikbol Isakov, leader of the Aravan-Progress youth organisation in Aravan District, Osh Province, told Caravanserai. "Therefore, we welcome initiatives that help us resist such challenges and even fight them," Isakov said. Five years after the councils' founding, 13 of them exist in the south. Their more than 330 members include youth leaders, college students and members of block committees. "The youth councils have become an inalienable part of the Osh mayor's Committee for Youth Affairs," Yakhyo Kadyrov of Osh, co-ordinator of the Project for Advancement of Inter-Ethnic Tolerance and for Assistance to Regional Co-operation among Youth in Kyrgyzstan, told Caravanserai. "They receive a salary there, and they co-operate closely with local authorities and with ... NGOs." Youth councils have created a sustainable platform enabling youth to fight radicalism, Kadyrov said. 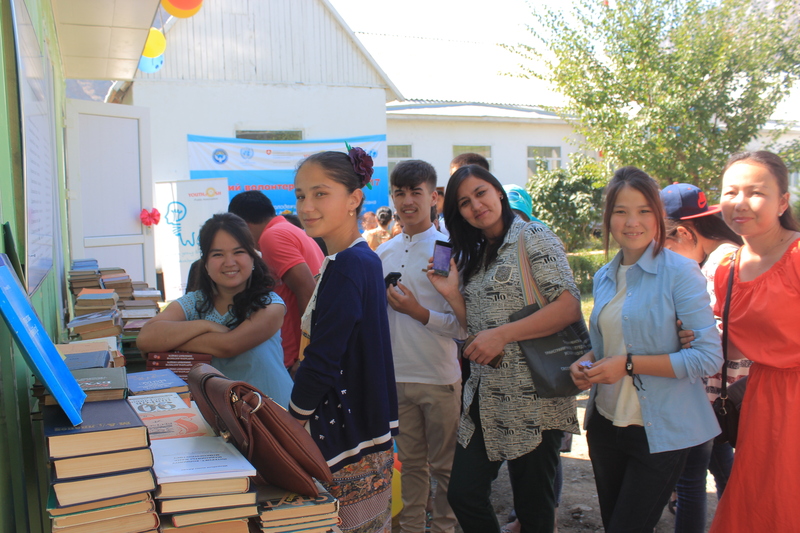 Members of the youth councils spoke in detail about their work at an August 26-27 forum in Jalal-Abad on "The role of young people in strengthening peace and stability in Kyrgyzstan". "The main theme of the forum was raising youths' potential and identifying methods of co-operation in resisting violent extremism," Kadyrov said. Residents of the three southern provinces and the cities of Bishkek, Osh and Tokmak shared ideas on how to make progress in those priorities, Kadyrov said, adding that they have two or three months to draw up a detailed plan for ways to fight extremism in 2017. "Before this forum, I had no idea how acute the problem of extremism was for our country," Aijan Khojayeva, a spokeswoman for the Batken Province branch of the Kyrgyz NGO Manas House of Youth, told Caravanserai. "We youth leaders should help the authorities prevent such phenomena." Youth leaders plan now to hold internal training meetings for House of Youth volunteers in Batken Province to communicate the knowledge they acquired at the meeting, Khojayeva said. "We'll use our widespread network of volunteers to ensure as many people as possible learn how important it is to prevent threats like extremism and terrorism," she said. After years of observing extremism, security specialists have identified some common traits in radicalised youth. Youth with little education, a narrow point of view and poor knowledge of religion are particularly vulnerable, Osh police Lt. Col. Bakyt Dubanayev told Caravanserai. Although authorities say the flow of radicalised Kyrgyz to Syria and Iraq has slowed this year, they remain busy fighting the extremism threat. During the first quarter of 2016, police discovered 135 cases of extremism and made 94 arrests in connection with charges of extremism, the Interior Ministry (MVD) said in its report on that quarter. Youth figure more prominently in such reports as time goes on, authorities say. Starting this school year, 10 pilot schools in Kyrgyzstan will introduce a new subject - History of Religious Culture.